THERE ARE ONLY TWO KINDS OF PEOPLE. GOOD PEOPLE AND BAD PEOPLE. It’s not a question of gender, race, religion, geographic location or wealth. Regardless of any of the aforementioned attributes, there are good people and there are bad people — it is just a simple as that. The rebellious city on the Pacific Rim is offering a glimpse into the future. San Francisco was 15 years old when the San Francisco Chronicle started to publish its first edition 150 years ago. Much has changed since the early days, and will continue to change. What has not changed is that the Bay Area remains a magnet and kaleidoscope of influences from around the world and all walks of life. There are hundreds of small business owners in the Lowcountry, solo entrepreneurs, family-run organizations, larger companies with management teams and even some that have boards. Together, they drive the vast majority of our economy since we don’t have government branches, military bases and only a few institutions that provide employment in our region. 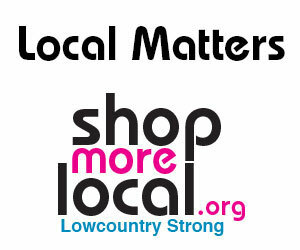 Most cater to local needs but some do the inverse, meaning they are located here but their customer base is not local. Growing up in Zurich, Switzerland, I was fortunate to have public drinking fountains strategically placed on my walk to school, on my bike ride to the soccer field or when accompanying my mother to the farmers market. To be exact, there are 1,200 water fountains in operation still today. So the idea of paying for drinking water is quite foreign to me and I stare with disbelief at consumers who schlepp cartons full of plastic containers filled with filtered tap water to the trunk of their cars. It’s time to rebuild our country! Poll after poll confirms that the majority of Americans believe the nation is headed in the wrong direction. It can be argued that since the end of the Cold War about 25 years ago, our thinking has not been clear enough — our leaders too narrowminded, our policies too small and our actions too short-sighted — to fully understand what is happening and come up with a clear vision of how to address it. How does one change the world? What happens if you fill a room with highly educated and intellectually curious people? Does the combined IQ coefficient cancel itself out or does it elevate the discussions to a higher level? After attending three days packed with presentations, storytelling and conversations, to me the answer is clear: It seems to lift everybody up a notch. Suddenly I felt smarter, more knowledgeable, more inspired and more empowered than before I entered the room. Is living to 100 going to cause the next financial crisis? While planning for my family’s future, I looked up aging tables and I took two different “life expectancy calculator” tests. The results were both good news and shocking at the same time. The general life expectancy has continually been moving up and, as a result, we have to plan for a longer life than the old common wisdom suggested, with all the consequences that come along with it positive, hopeful and scary, depending on your own level of confidence in what aging might mean. A white light wakes me up in the morning; its color is uniform, making it difficult to guess the actual time. I get up and peak out the window, looking at two large church towers each bearing a grandiose clock on their walls, confirming it is 6:27 a.m. Soon the bells will ring.